Easter is celebrated around the World during the month of March. Many beautiful Easter special breads are baked around the world and my today's Easter bread is from Croatia. 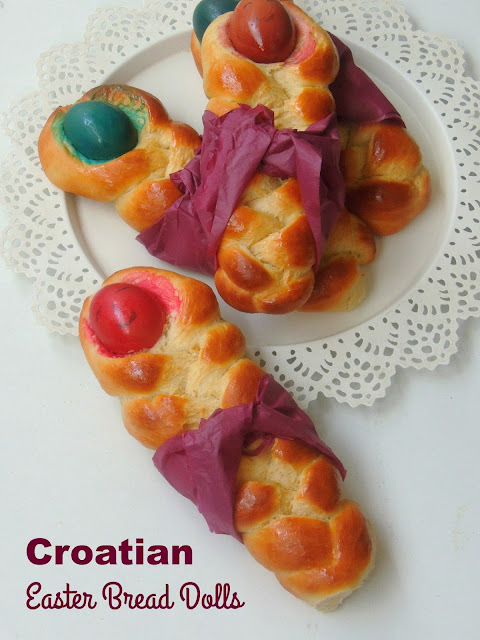 Croatian Easter bread dolls or primorski uskrsne bebe which means literally "Easter babies from Primorje" are traditionally made in Primorje and Istria on the Adriatic Coast.They are prepared with a simple sweet yeast dough braided around a colored hard-cooked egg, which gives a cute appearance as much as like a swaddled baby.Traditionally, the eggs are dyed red, but however now many vibrant coloured dyed eggs are used for making these cute bread babies. Last but not least, my today's recipe goes for our family favourite vegetable aka carrots. Carrot have high vitamin A content which comes from beta-carotene which is very much good for our liver.Eating more deep orange coloured vegetables and fruits are always associated with lower risk of coronary heart diseases, obvious carrots helps a lot for lower risk of heart disease. Carrots eaten raw are excellent for the health, but many research says that cooking them also help to boost their nutritional content. My kids enjoyed thoroughly this healthy and simple egg bhurji prepared with finely chopped carrots. Served along with rice and rasam this egg bhurji tastes absolutely delicious and we just loved it having this ultimate healthy bhurji. Potato, this vegetable is our family favourite, anything cooked with potatoes tastes always fabulous. Obviously my vegetable basket will always have this versatile vegetable. 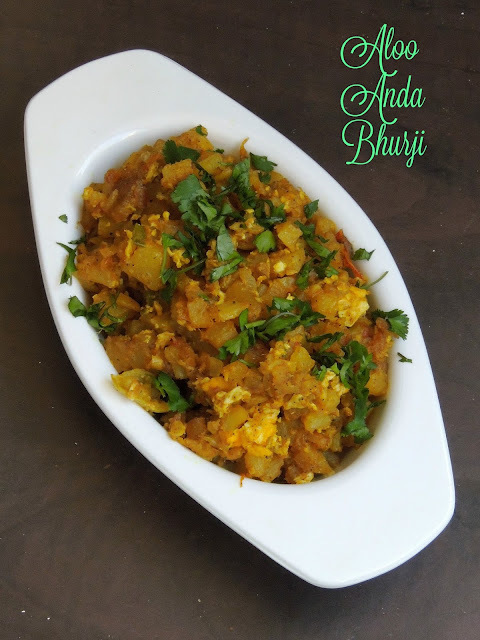 When i picked Bhurji recipes as theme for this week's blogging marathon,the first recipe came to mind is to prepare a bhurji dish with potatoes. Obviously anything cooked with potatoes doesnt go wrong and trust me this Aloo Anda bhurji was our family favourite from the day i prepared this Indian version of scrambles Eggs with finely chopped potato cubes. 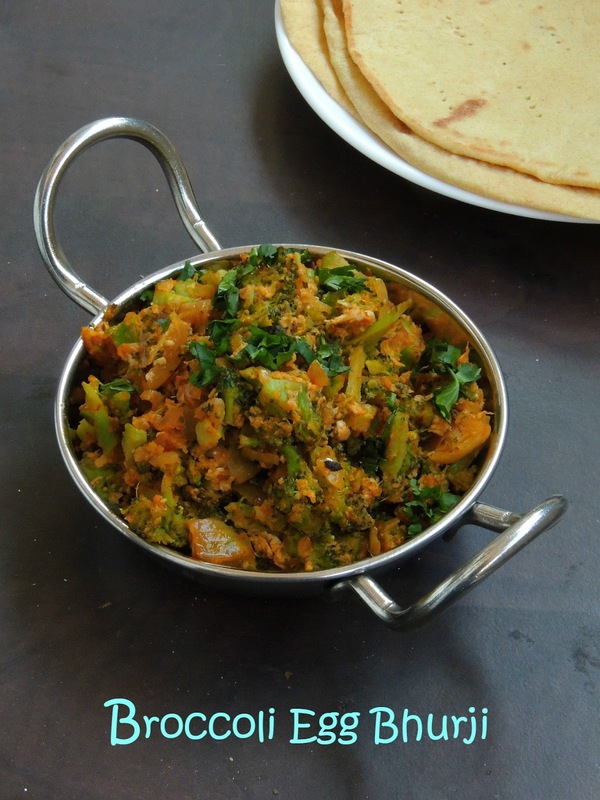 Bhurji makes an excellent side dish to relish along with rice or rotis, you can still enjoy them as filling inside two bread slices for making a healthy sandwich or else to roll and have like a wrap with a tortilla or Indian roti. 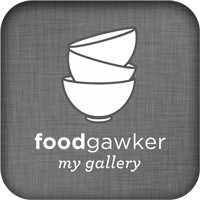 You have numerous choice to enjoy this excellent dish as they asks very less efforts to get ready. If i feel lazy or dont have much time to cook a dish, i simply go with a spiced scrambled egg aka egg bhurji to enjoy with some rice.They are seriously very easy to dish out. 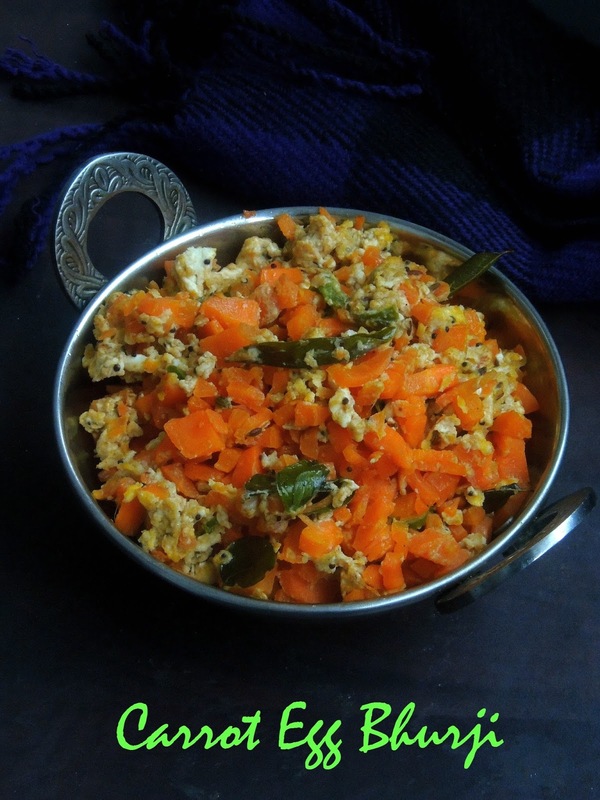 Though we love egg bhurji, its quite interesting to add vegetables to make them more healthy na. Personally i felt that adding more vegetables while making burji is one of the best way to sneak vegetables. You can feed anyone's easily with those vegetable loaded bhurjis. Wiki says that A hot cross bun is a spiced sweet bun made with currants or raisins, marked with a cross on the top, and traditionally eaten on Good Friday in the British Isles, Australia, New Zealand, South Africa, Canada, and India. The buns mark the end of Lent and different parts of the hot cross bun have a certain meaning, including the cross representing the crucifixion of Jesus, and the spices inside signifying the spices used to embalm him at his burial.They are now available all year round in some places.Hot cross buns may go on sale in Australia and New Zealand as early as New Year's Day or after Christmas. 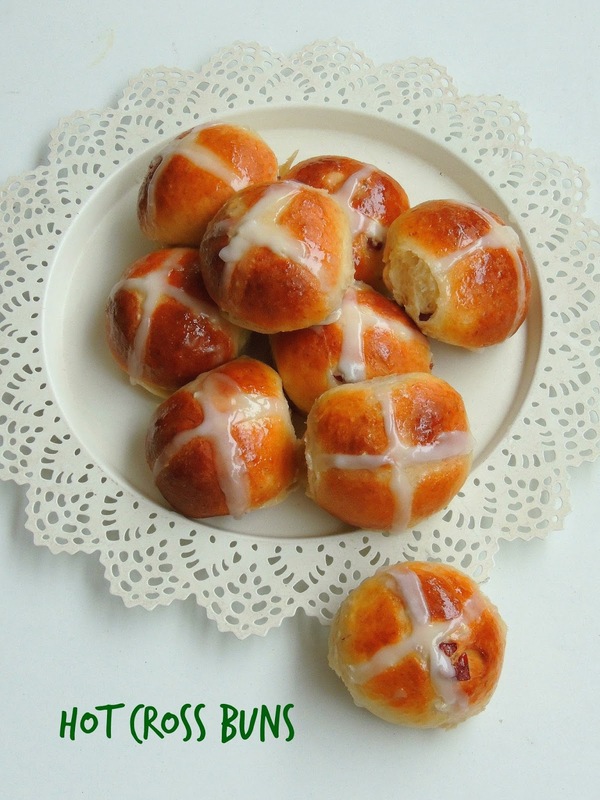 I have been looking for a chance to bake some Hot cross buns since a long. Finally i did this ultimate spiced, cranberries loaded buns, these buns are completely egg free but i dont want to skip the butter. My today's post goes for the Popular Malaysian street food 'Curry Puffs', this Malaysian snack is a sort of younger sister of both Indian Samosa and famous Portuguese Empanada. You can find easily this freshly fried curry puffs at most of the roadside stalls in Malaysia. 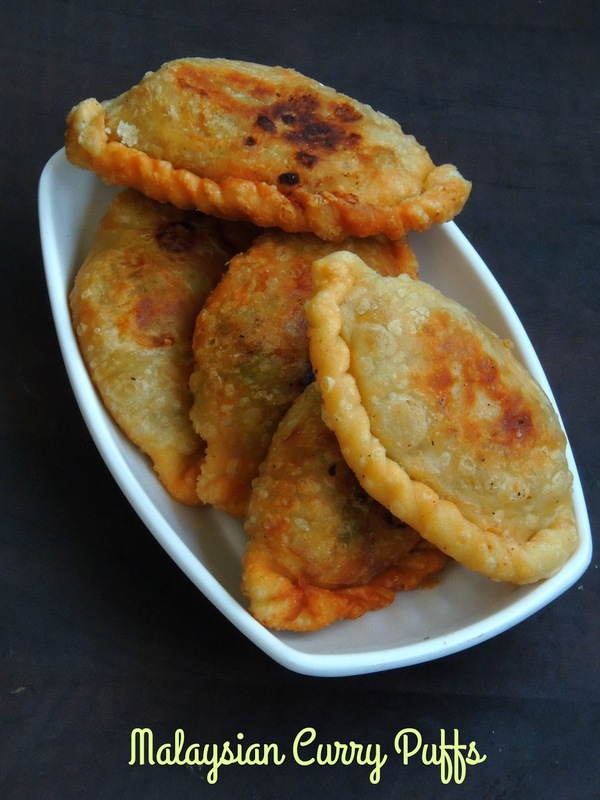 You can find also this Ultimate curry puffs both with simple outer crust and with spiral crust. Spiral crust goes for two dough, however i want to make mine with a simple crust though i want to make those flaky spiral crust. Fried curry puffs makes an excellent evening snacks though you can even bake them. Since i want to go with the traditional curry puffs, i didnt hesitate a second to fry them.A common snack in Southeast Asia, this curry puffs is one among several puff type pastries available easily in road side stalls. Savoury curry puffs can be prepared with vegetables, meats or else both meat-vegetables fillings, obviously this curry puffs have their important place in Malaysian snacks.Not to forget that even sweet filling with yam do exists. Shahi Tukda or Shahi Tukra is a super rich dessert and its truly tastes divine with exotic flavors. 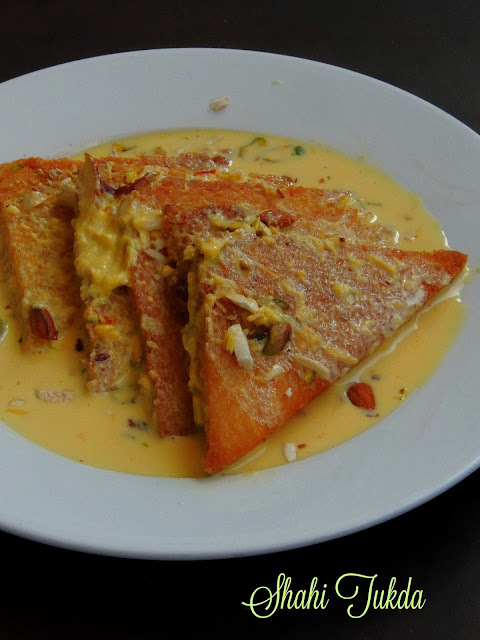 Shahi Tukda is literally means Royal Piece or Royal Morsel. Though this sweet is prepared with bread, its origin is from Mughlai Cuisine. This dish is quite similar to Hyderabadi's popular dessert 'Double Ka Meetha'. I have been looking for an opportunity to give a try to this ultimate dessert for a while and finally i got a chance to make this ultimate dessert at home for a special festival. Holi, this festival of colours is quite a famous festival among Indian especially for Hindus after the festival of lights 'Diwali'. Obviously any festival or special occasion would be incomplete without sweet dishes. Being super exotic this scrumptious dessert will definitely please anyone's sweettooth. The word 'Paneer' itself makes me drool, when paneer added to one more most favourite dish of mine aka 'Pav Bhaji' trust me am ready to die after finishing a huge bowl of this Paneer pav bhaji. 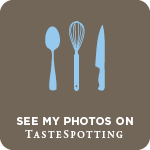 If you are reader or a follower of my space, you might have noticed my love for streets foods/chaats. Obviously we dont have any chance to relish this dishes in roadside stalls as like in India, if we are craving for this highly irresistible Indian street foods, we dont have any other option than making them at home. Am a great chaat food lover and i can survive for many days with chaat foods, needless to say my family members are also turning as much as like me when its comes to street foods or chaat foods. 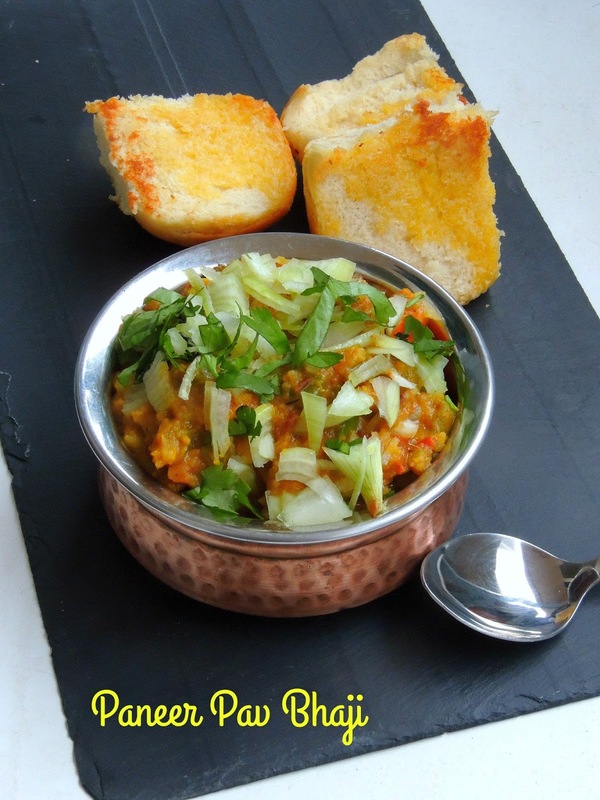 If you are an Indian, you might know how popular this Pav bhaji especially in Northern part of India. Piadina or Piada is a kind of flat bread prepared in Romagna Region. This flat bread is prepared usually with flour, lard or olive oil,salt and with water. Though traditionally this flat bread is cooked in terracotta dish, nowadays this bread is cooked in flat pans or in electric griddles.Do you know that this Piadina have been listed to the Traditional regional food products of Italy of Romagna Region. 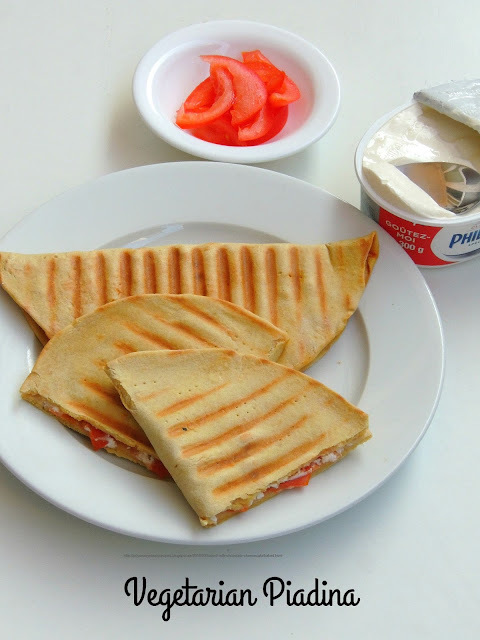 How wonderful na, by the way coming to my today's Piadina, i opted for a vegetarian version eventhough the traditional version goes for meat and cheese.You can have Piadina either with spicy filling or else with sweet filling like nutella,honey etc. The modern versions of serving Piadina doesnt have limit and many version of Piadinas exists now. 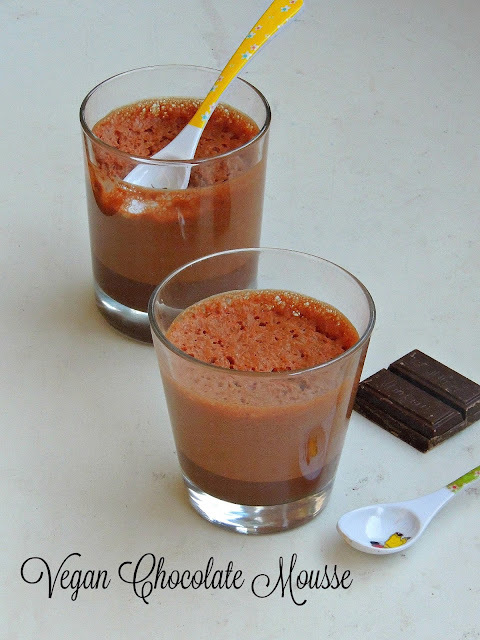 Recently i had an immense pleasure to experiment Aquafaba (the chickpeas cooked liquid/brine) in one of my favourite dessert, as its replace the egg very brilliantly in all your bakes or in desserts. Actually i want to try my hands since a while with this aquafaba but somehow i was bit skeptical about the taste of this 'incredible vegan egg whites'. One fine day, the kindergarden teacher with whom am working prepared a culinary demonstration to the kids. We simply whipped an egg white and aquafaba separately to explain the kids about making meringue at home. That day,i tasted the whipped Aquafaba and completely fallen in love with this vegan meringue. I was seriously waiting to give a try with this incredible ingredient during my vacation and finally i did. 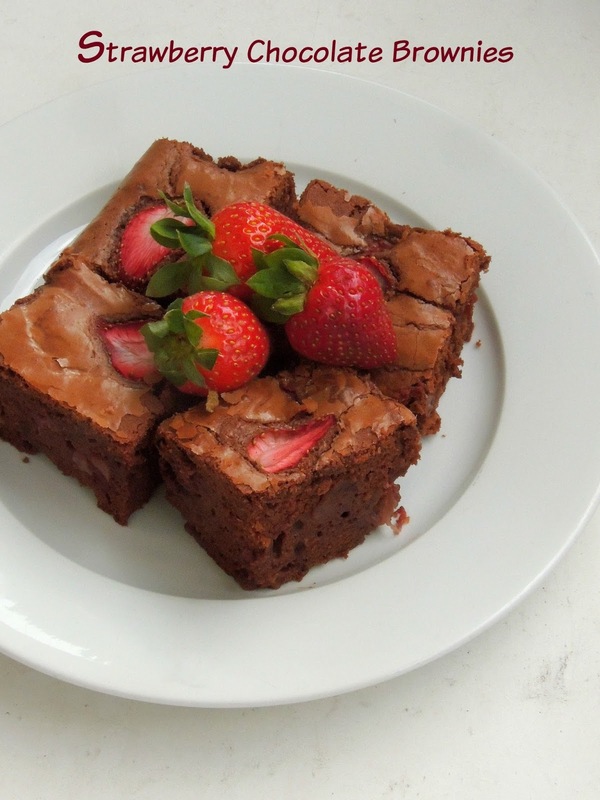 Brownies are quite easy to whisk and bake if you have hungry tummies around you. Brownies dont need any frosting or a specific mould or else liners to make this absolutely decadent baked goodies. Just mix, pour, bake and cut, how easy na. Chocolate brownies are my kid's favourite obviously i'll try to make this chocolate loaded baked goodies whenever my kids asks for something chocolatey.My today's recipe is just loaded with strawberries, yes i have added sliced strawberries in usual brownie batter and the outcome was simply fantabulous.Adding strawberries to the brownie batter makes this brownie more interesting and quite an interesting fruit loaded brownie to serve along with a cup of coffee or tea. 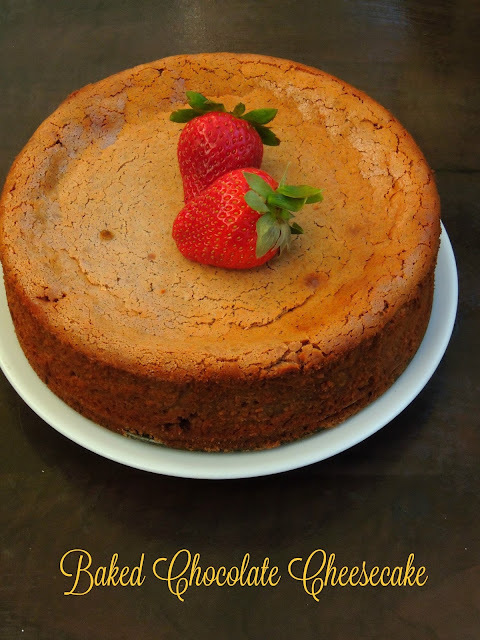 My younger one is an ardent fan of cheese cake especially the New York style cheesecake, he was asking me to make cheesecake during the winter vacation.But unfortunately during their vacation, i was stumbled with personnal stuffs and couldnt bake his favourite cheesecake. Looks like he have completely forgotten about it and he never talked or asked me about the cheesecake. Last week, while doing my monthly grocery, i picked the famous Philadelphia cream cheese to bake finally my younger one's favourite cheesecake. While i was preparing the filling for the cheesecake i couldnt resist to add some cocoa powder and melted chocolate to make a delectable chocolate cheesecake. Trust me everyone at home went crazy after having this cheesecake, even my younger one told that this chocolate cheesecake is the best cheesecake he never ever had before. Watelse a mom need. Have you ever tasted deepfried channadal patties aka channadal masala vadais dunked in tamarind gravy? if 'Yes', then this horsegram vada dunked in kurma will definitely become your favourite. Since i want to feed my kids with horsegram, i tweaked the usual channadal masala vadais with the healthy horsegrams aka kollu vadais. This kurma is definitely a fingerlicking curry to relish either with rice or with rotis. 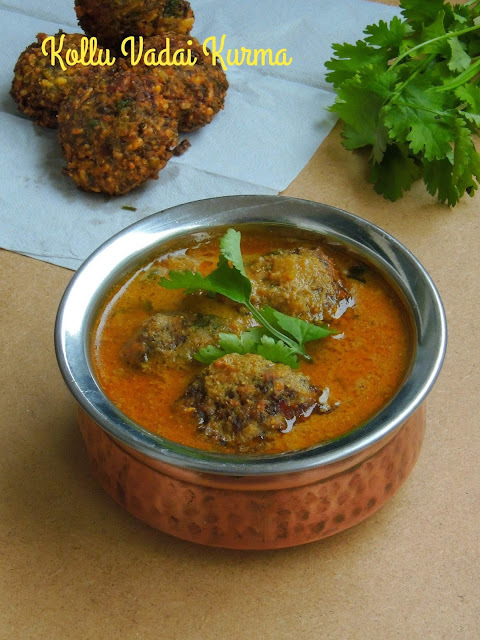 Eventhough deep fried horsegram fritters are added in this coconut based masala gravy, this dish is quite healthier than the usual kurma. The addition of the horsegram vadais gives an excellent touch and taste to this usual kurma, whoever like vadais dunked in gravies will definitely enjoy thoroughly this aromatic dish. Kurma is a curry simply prepared with vegetables or else with meat along with coconut,spiced and with nut or seed paste. Tambli is a uncooked, blended sour curry served along with cooked rice, this dish is well known in Karnataka/Konkani/Udupi cuisine. This sour curry is served at the very beginning of a meal as this dish is believed to cool the body. In many Kanndigas home, sambar and rasam can be replaced very well by this sour curry during summer. 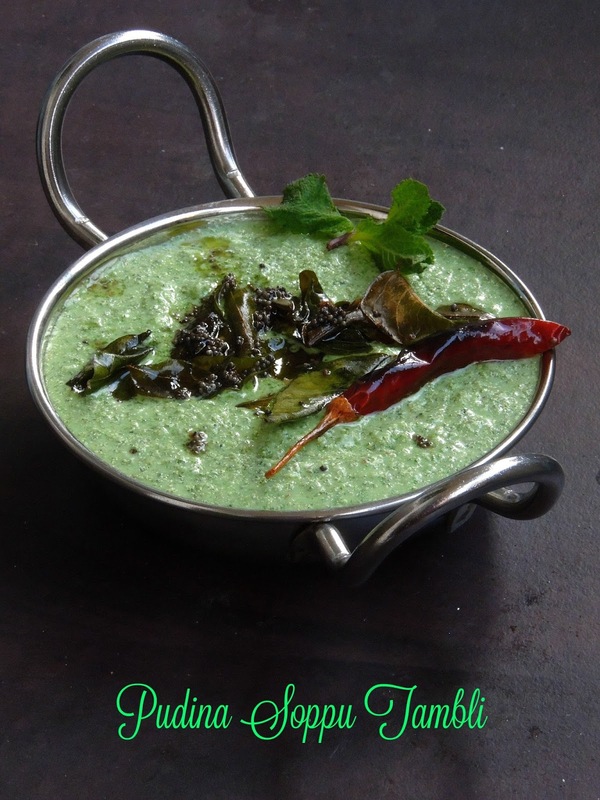 Actually tambli ressembles very much like both raita and coconut chutney, yes this dish is simply prepared with a spiced coconut paste and yogurt.South Indian knows that anything cooked with coconut paste or blended with coconut tastes fabulous as well as anything mixed with yogurt tastes good. No wonder this dish tastes too delicious as these two ingredients blended together to make this tambli. Tamblis can be prepared with anything and the list is endless. 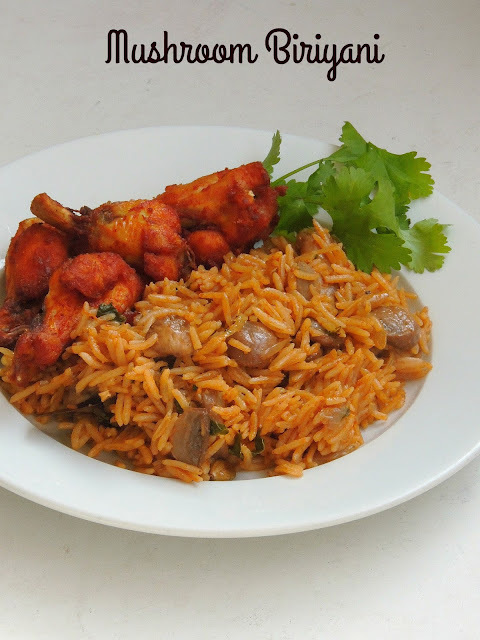 Sunday lunch is always special and i make mostly biriyani for our lunch, though this one pot meal asks for grinding masalas and chopping vegetables i just love enjoy making this flavourful rice. Mushrooms have many more health benefits which include relief from high cholesterol levels, breast cancer, prostate cancer and diabetes. Its also helps very much in weight loss and increases your immune system.Mushrooms are good source of iron and not to forget that mushrooms are ideal for diabetic peoples as they have no fats,no cholesterol, high protein content and with loads of vitamins,minerals. They also contains lot of water and fiber.We are mushroom lovers, anything with mushroom is my hubby's favourite,he was super happy when i dished out this biriyani with mushrooms which is completely cooked in spiced and flavoured coconut milk.